With the popularity of sites like Facebook, Twitter, and Instagram more and more businesses are looking to social media to engage with their customers. Using a Facebook fan page or Twitter account can be an excellent strategy for customer engagement, marketing, and creating brand recognition. Is Having a Facebook Page Better Than a Website? These tools can seem like an easy, cost-effective method, especially for small businesses, but are they robust enough to replace a business website? To answer that question, let’s explore the pros and cons of a social media presence and how that compares to a company website. Can Social Media Work for Business? According to recent data from Statista.com, Facebook had 2.2 billion active users in the fourth quarter of 2017. 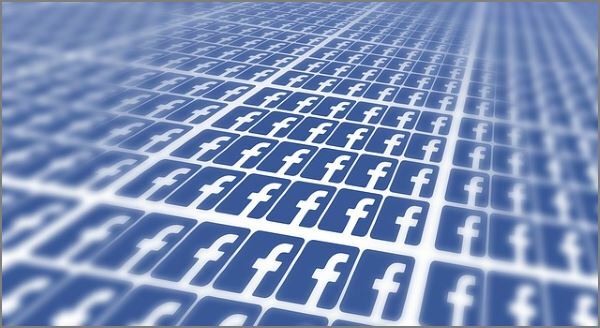 With that many users, it is easy to see why a Facebook fan page has become an essential tool for reaching potential customers. Once created, a social media account provides small business owners with an easy outlet for engaging with these potential clients. However, reaching these shoppers on sites like Facebook can often be difficult. Even consumers who have liked your page in the past may not see your content in their news feeds as Facebook often hides content that users don’t engage with frequently enough. Keeping your content front and center for customers often means paying to promote it, which means using social media effectively isn’t free. The amount and wide variety of other content present on Facebook and other sites make it difficult to have your company’s content stand out. Your message can easily be lost when mixed in with updates from friends and family, content from groups and other fan pages, and paid advertisements. Although site analytics make it clear how many users are interacting with your page and various content you’ve posted, other than paying to promote your post there isn’t a way to drive more users to your content. Because there are limitations on design, content, layout, and available information for your clients it can also be difficult to control your brand message on a Facebook fan page. While a using Facebook or social media is easy, free to begin, and provides companies with a large pool of potential consumers to connect with, it cannot replace the benefits and structure of a business website. A site provides you with a dedicated place for your brand’s message, a professional appearance, and more focused information on the products and services you offer. With a website, you can ensure that the look and feel of your content support the message your brand is presenting to those looking to do business with you. Far more customizable than a social networking page, you can show consumers exactly what you stand for as an organization. Even in the small business realm, buyers expect a certain level of professional presence which can only be achieved by a dedicated company website. Customers are doing more research than ever before when it comes to making purchases. Exploring an organization online has become commonplace. Without a business website, potential buyers may have concerns that the company isn’t established and trustworthy. Social media pages are too easy to fake and don’t contain as much information about the company as your site will. The professional image presented through a website helps assure clients they are dealing with an established organization that will meet their needs. A professional site provides more information to shoppers than a social media page. You can include information about your organization, control marketing messages, drive brand recognition, and include point of sales opportunities. When customers can learn about your company, view your full schedule of offerings, easily contact you, and make purchases through your site, they will be more likely to do business with you. It may seem like harnessing the power of social networking is sufficient to make and keep your business competitive, but it is clear that a dedicated website is still essential to business success. Although the initial setup of a social media page is fast and easy, the right tools and support can make building and maintaining your site just as easy. Taking a combination approach by creating a website and linking it to social media will truly position your organization to reach the most consumers and maintain your brand message. These step-by-step instructions will show you how to build your own WordPress website in no time at all.